Ride Along and 22 Jump Street have already stake their claim as number one box office winners this year. Buddy cop movies are a growing trend in Hollywood and in order to successfully pull one off the movie must include consistent comedy, crooked cops, and a dynamic duo. Let’s Be Cops joins the ranks as two Ohio friends try to convince themselves that they are members of the Los Angeles Police Department. Ryan O’Malley (Jake Johnson), a washed up college football player, takes the phony occupation too far when he drags his roommate, Justin Miller (Damon Wayans, Jr.), into his fantasy. The movie has about four big hilarious moment and they are so spread out that it strings the audience along until the very end. But, it are those in-between moments are bland and uninteresting. The real magic was the energy and collaboration between Jake Johnson, who had a small stint in 21 Jump Street, and Damon Wayans, Jr. They were like a group of immature college kids with no relevant agenda. Good, clean fun occurred when the pair put on their uniforms. Damon Wayans Jr. and his pops were at the Pittsburgh Improv two years ago and they were equally hilarious. It’s truly a talented family to have bore so many naturally comedic people. Junior is young, attractive, and frequently reminds you of his father’s early In Living Color Days. 3 Stars: If you need a quick, inexpensive laugh then Let’s Be Cops is right up your alley. 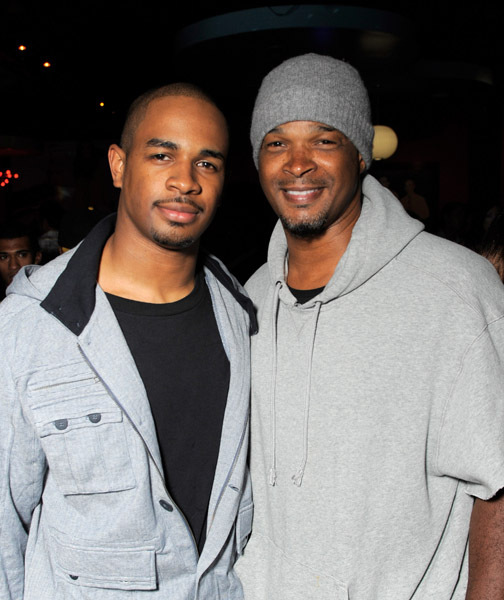 Damon Wayans Jr. has proven they his talents and insane wits are passed on through his father and funny family. On the other hand, Jake Johnson has crafted the lazy comedy. 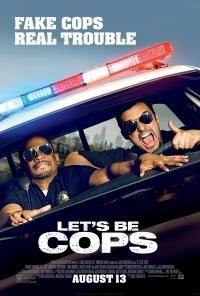 The stars are certainly on track for Let’s Be Cops 2 in the near future.